A rainbow is a wonderful natural scenery that is pleasant to eyes. We can see rainbow in the sun after a rainy day. 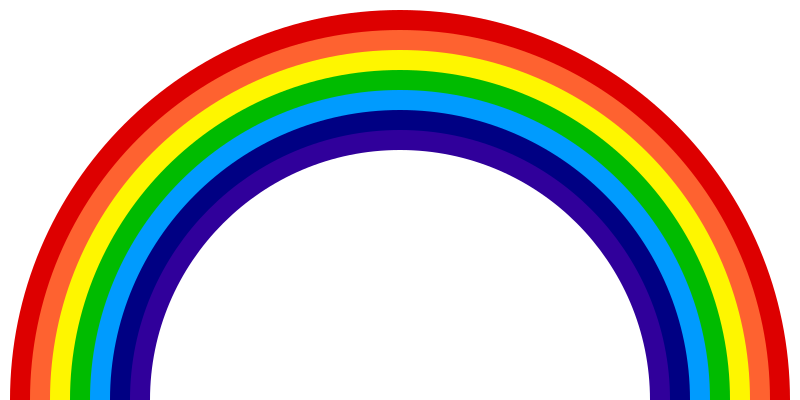 The seven colors of the rainbow give a beautiful look to the Rainbow and they are: Violet, Indigo, Blue, Green, Yellow, Orange and Red. Generally a rainbow can be seen in semicircle but most of the times what is visible to the human eyes is half semicircle. Another interesting fact is that, if we see from a Flying Airplane we can see the full shape of a rainbow, that is circular shape.